eGrid is a software environment designed for utility companies to enable the collaboration of control center team members in their daily tasks of analyzing and managing the electrical grid of a city. 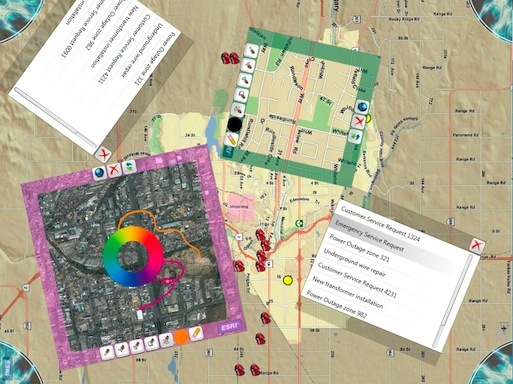 Despite the recent advances in geospatial data analysis applications, the need still arises for the design of innovative applications which facilitate the collaboration of control center team members in discussing problems and finding solutions, without the headache of working on paper maps and having to update them frequently to reflect the changes made daily in electricity circuits. eGrid utilizes the technological advances in multi-touch digital tabletop hardware to allow multiple users to interact concurrently with domain specific geographic information system (GIS) using finger touches and natural hand gestures. We are developing eGrid to address the specific needs of ENMAX power corporation, a local electricity company. 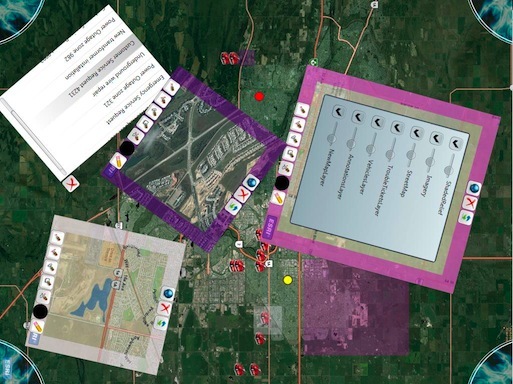 Through the development of eGrid an API will be created which will simplify the development of similar multi-touch multi-user GIS applications. Elaf Selim, Yaser Ghanam, Chris Burns, Teddy Seyed and Frank Maurer: A Test-Driven Approach for Extracting Libraries of Reusable Components from Existing Applications, Proc. of 12th International Conference on Agile Processes and eXtreme Programming (XP 2011), Madrid, Spain, 2011. Elaf Selim and Frank Maurer: MathSketch: eGrid: Supporting the Control Room Operation of a Utility Company With Multi-Touch Tables, The ACM International Conference on Interactive Tabletops and Surfaces, November 7-10, 2010, Saarbrucken, Germany.